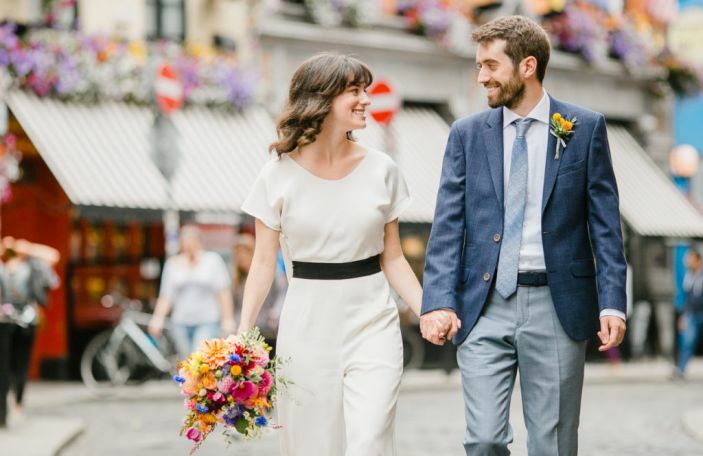 If you're planning on getting married in Dublin's fair city, then you're in luck. 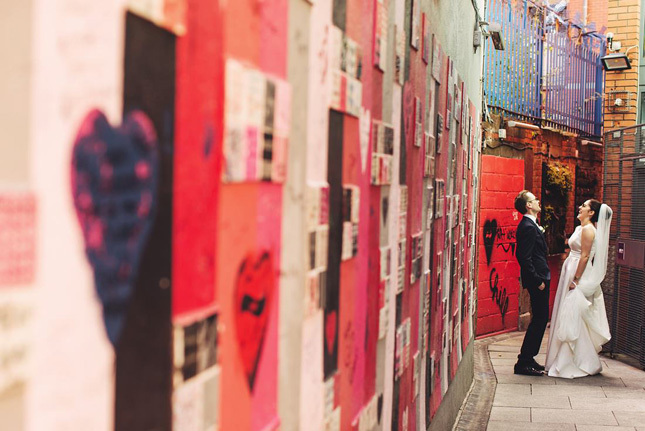 The capital is home to a number of beautiful photo spots scattered throughout the city, with a lot of them within walking distance from the city centre. 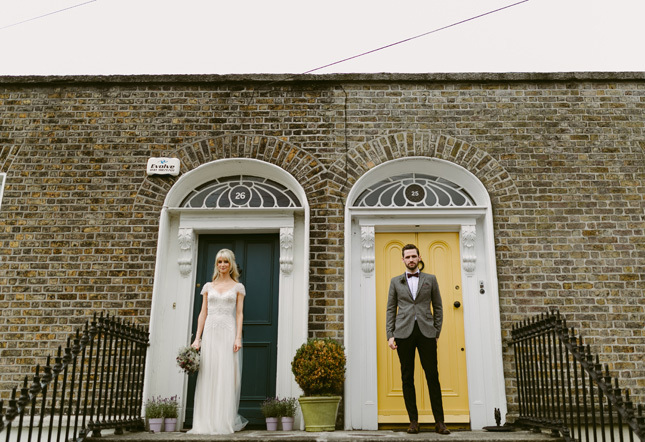 You know yourself, when you see photos from a Dublin city wedding there's always a host of gorgeous photo backdrops. 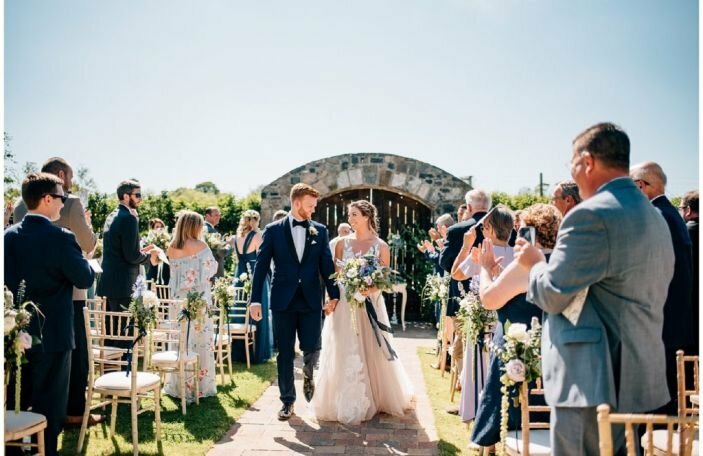 Below we've compiled a list of our favourite spots that you can head to for some fabulous wedding pictures. 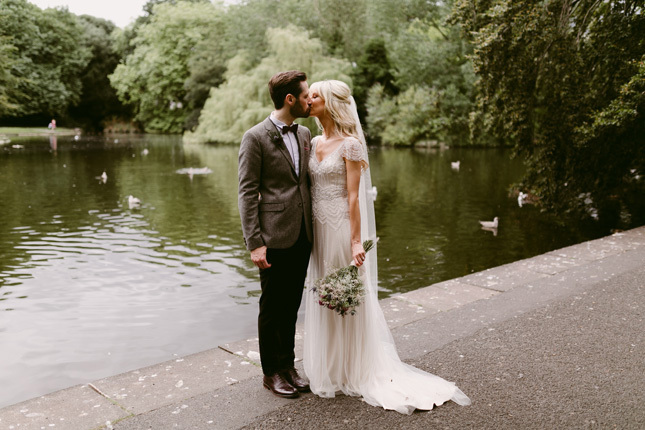 Right in the city centre, St. Stephen's green is easily accessible from most ceremony locations. The park hosts a number of beautiful photo locations including it's adorable gazebo. If you and partner are hoping for some alone time we can't think of a prettier place to take a few moments and enjoy some time alone. 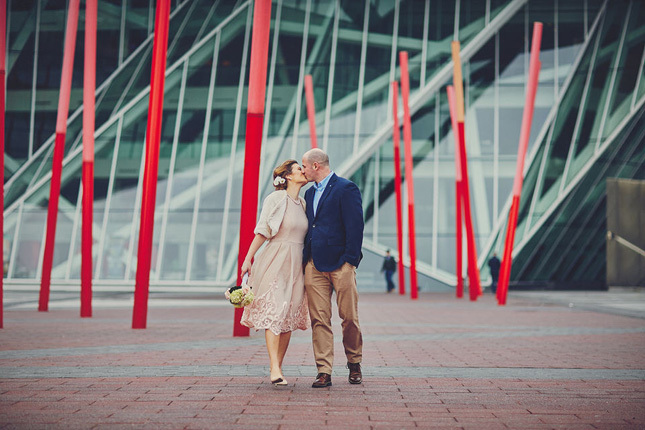 For those of you planning an industrial or urban wedding, Grand Canal Dock is an unusual yet memorable location for your wedding photos. The artistic art installation leading from the theatre to the dock makes for an unusual photo opportunity. The lights weave towards the dock in a 'red carpet' fashion and what newly wed couple wouldn't love a red carpet on their wedding day? 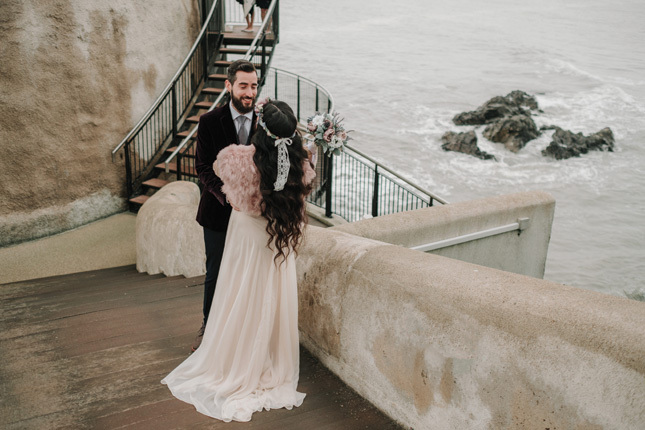 If this is your ceremony space then you're already on the way to having some pretty amazing wedding photos. 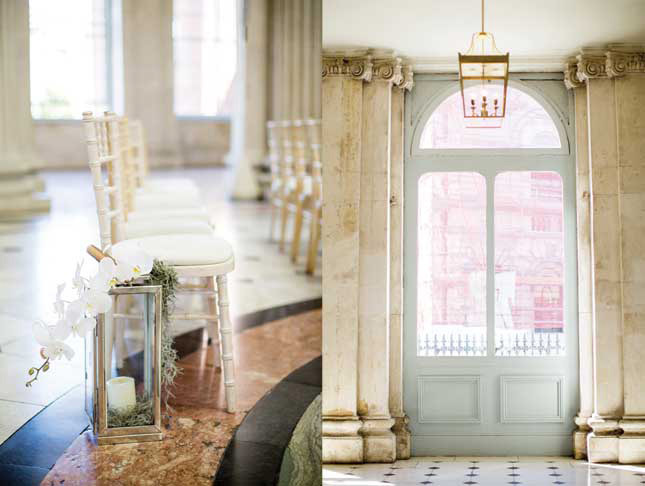 Not only is the exterior of Dublin City Hall something to take in but so is the interior. 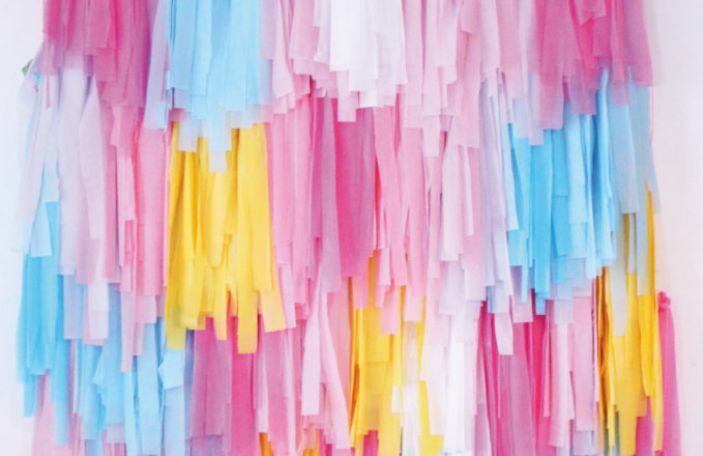 Featuring marble floors and pastel shades with plenty of light you'd be sure to look back at these photos with a smile on your face. 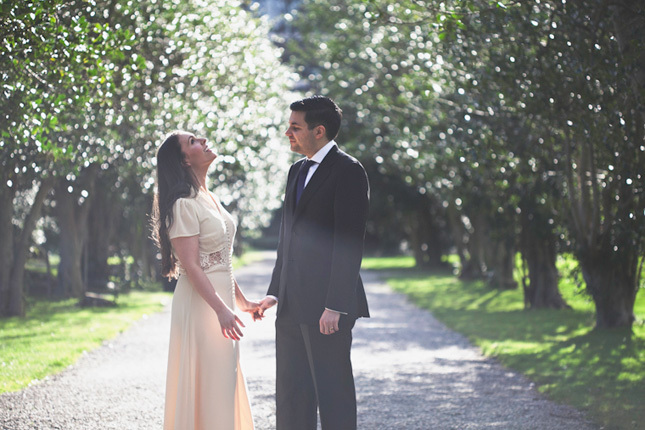 You could lose yourself taking wedding photos in The Iveagh Gardens. 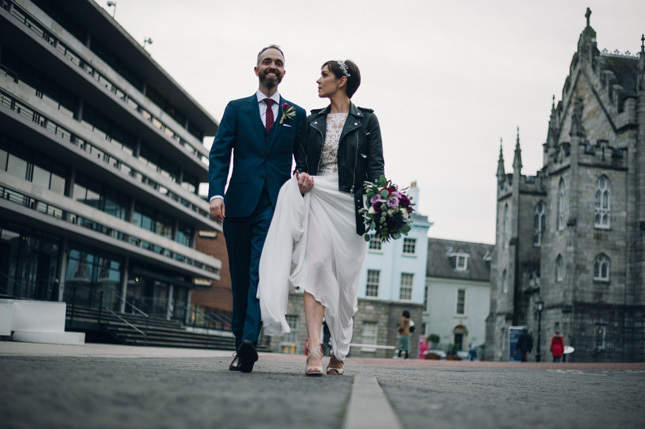 Situated in Dublin 2, the gardens are another green space within walking distance of most city centre ceremony locations. 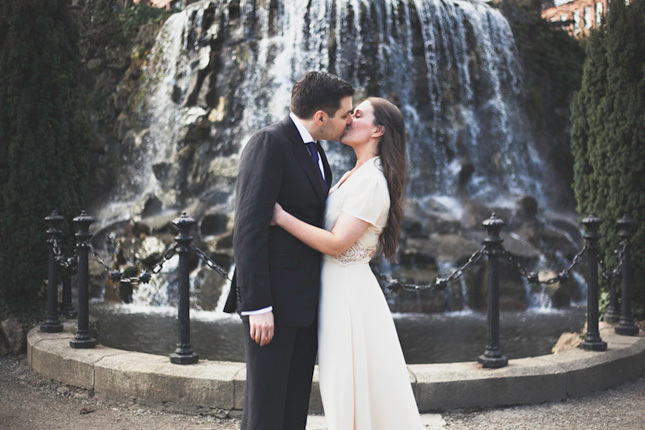 We love the idea of photos in front of the waterfall, among the beautiful blooms or the fountain. 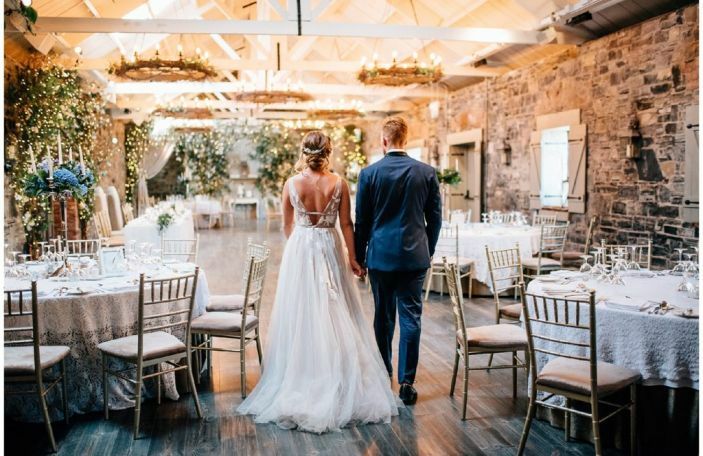 You'll be spoilt for choice with gorgeous backdrops when taking your photos here. 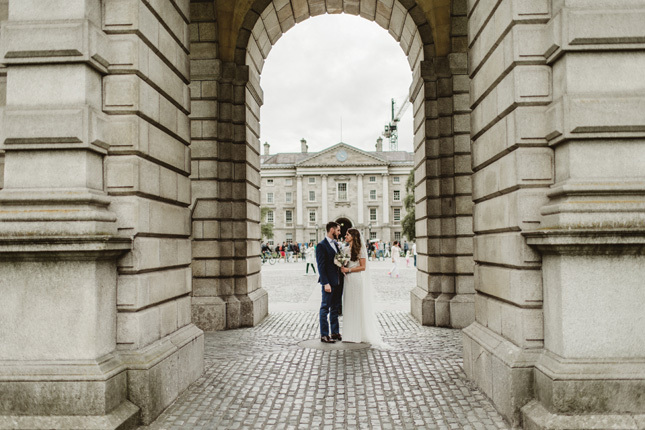 Trinity College is home to many world famous spots scattered across the college green campus. 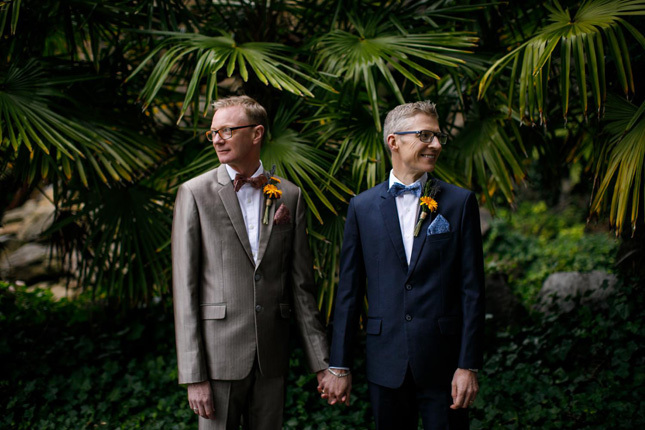 Not only can you get married in the university chapel you can also utilise the grounds to the fullest by taking some of your photos here. 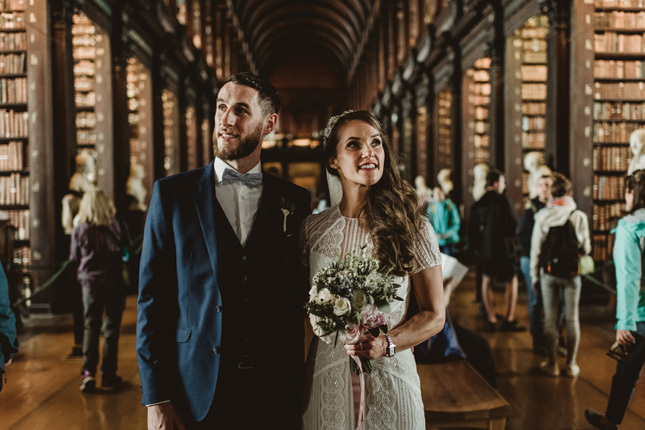 The number one spot for us is definitely the decadent library; full of history, moody lighting, and high ceilings. 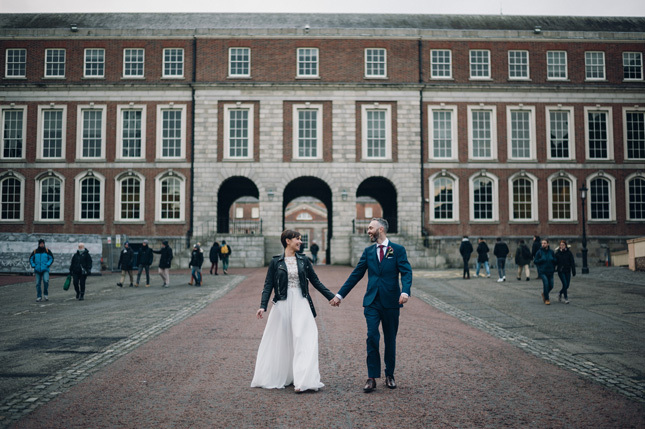 Just off Dame Street, Dublin Castle is the ideal location for couples wanting to achieve a cool, laidback city wedding vibe in their photos. 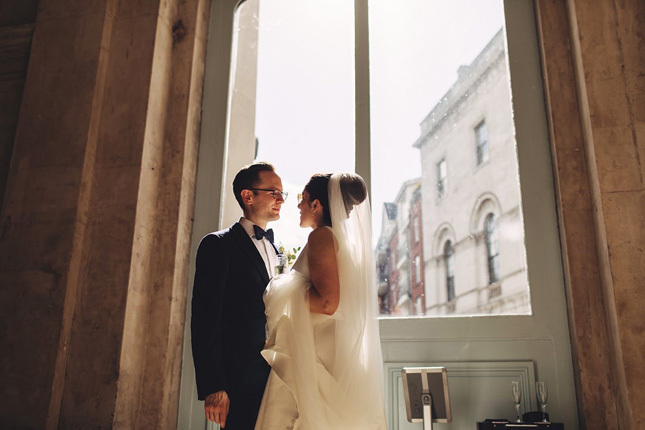 We're talking romantic snaps underneath the archways and using the red brick walls for a dramatic background in your photos. Sounds good to use! 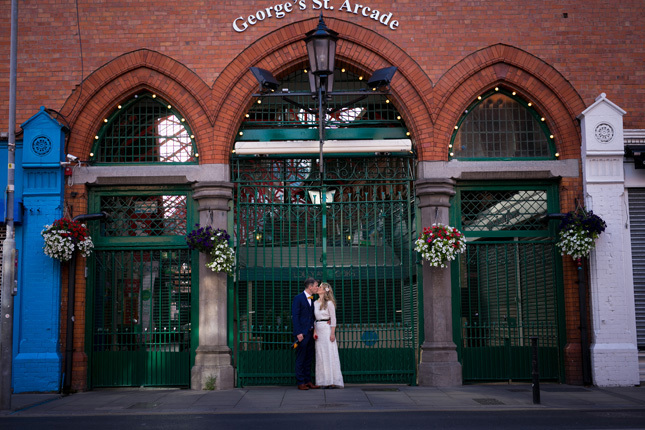 The city centre's George's Street Arcade is cute with or without newlyweds taking wedding photos there. What makes it so special is the atmosphere and quirky shops within. The record stores, vintage clothes and the stunning building itself scream "take photos of me". 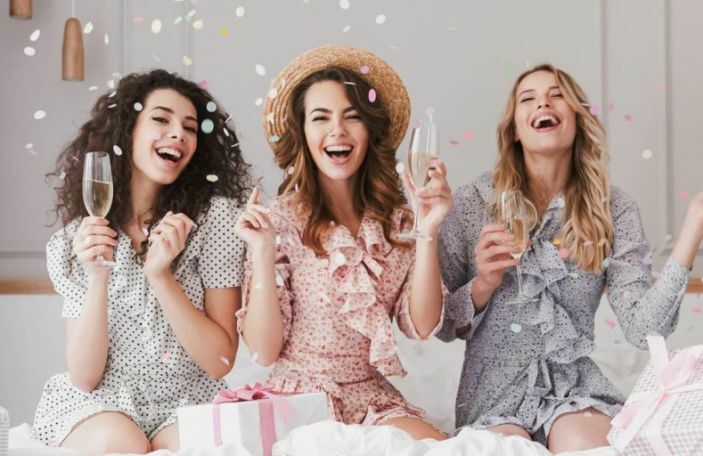 If they don't sell you on this beautiful location, we don't know what will. 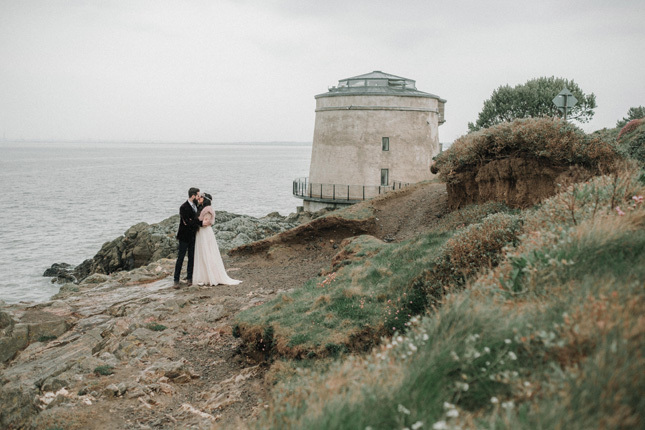 Ok, so we realise this isn't exactly in Dublin City centre but we think if you're able to scoot out to Martello Tower in Sutton for some wedding photos- you should! Situated in Howth, it makes for a stunning and historical backdrop for your photos. 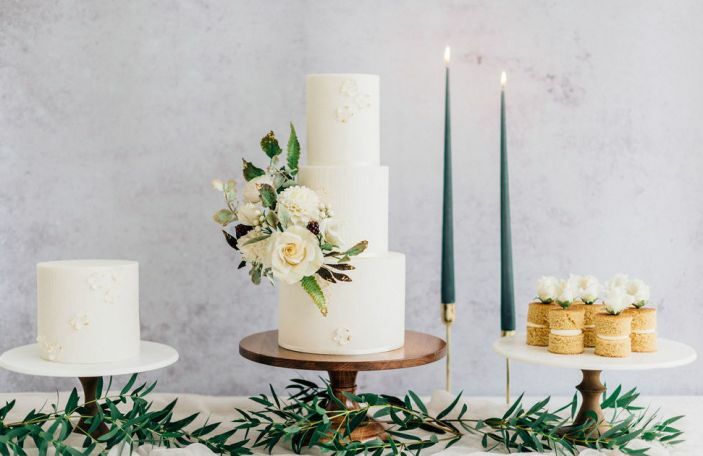 It's also available as a ceremony space, just saying. 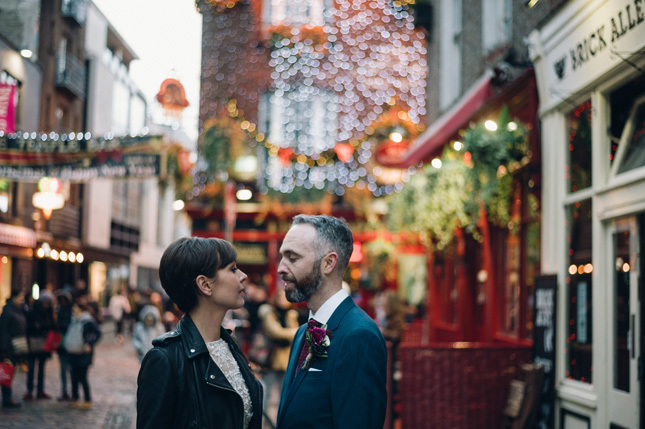 There are so many beautiful streets in Dublin City that we couldn't pick just one as the perfect photo spot. 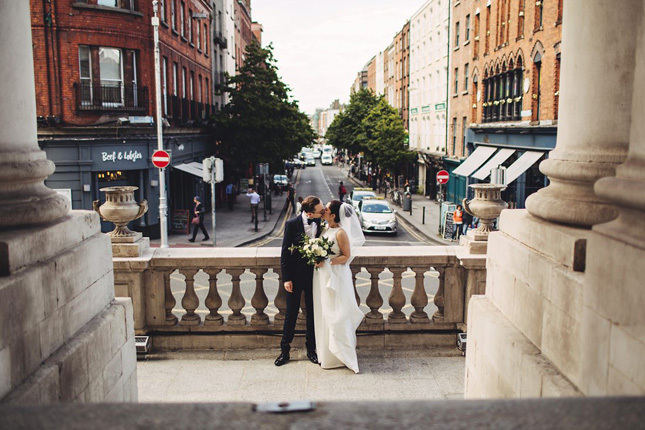 From the Georgian doors surrounding Merrion Square to the graffitied and fairy-lit streets of Temple Bar - there are countless opportunities for artistic and unusual wedding photos.